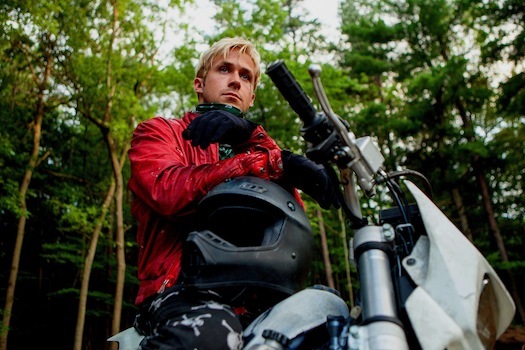 The opening scene in The Place Beyond the Pines is a long, uncut shot following the movements of a young, heavily-tattooed motorcycle stuntman as he prepares and undertakes his stunt. It's a gripping scene that sets the tone for Derek Cianfrance's film, a story of legacy told in three acts that follow the actions and consequences of broken men and their sons. After his act is over, the stuntman, Luke (Ryan Gosling), sees a local girl waiting for him. Romina (Eva Mendes) and Luke had a brief fling once, and she is quietly waiting for him again, seemingly to tell him something. He takes her home, she says goodnight, and he leaves town. Upon his return a year later, he looks for Romina at home, only to find her mother, a fair-haired child in her arms. "He's yours," she says. A small but significant choice--a brief sexual encounter--changes the trajectory of this story. Luke decides to quit his stuntman job and stick around for his son, in spite of Romina's protests. He wants to be present for the kid's upbringing, unlike his own absentee father. After an idea is planted in his mind to use his motorcycle skills to a rob bank and give the money for his son, Luke turns to a life of crime. Aided by his pal Robin (Ben Mendelsohn), Luke gets more and more aggressive, robbing another bank, then another, culminating in a police chase that will lead to violence and death. A small but significant choice--the robbery of a bank--changes the trajectory of this story. The second act of the film focuses on Avery (Bradley Cooper), one of the policemen in the chase after Luke. A rookie cop with a wife and a young son of his own, Avery is the pinnacle of justice and morality. When Luke and Avery's worlds collide, their stories become intertwined. After their encounter, Avery finds himself caught in the middle of police politics and the blurred ethics of the American justice system. Using the system to his advantage, Avery climbs the political ladder while holding a weight of guilt in his heart. A small but significant choice--the pulling of a trigger--changes the trajectory of this story. The third act takes place fifteen years later, with Avery's son moving back in with his father during his senior year of high school. The rebellious and angst-ridden AJ (Emory Cohen) befriends the quietly dour Jason (Dane DeHaan). They get high together. They go to a party. They struggle with their sense of worth and meaning, particularly in relation to their fathers. Both AJ and Jason are learning to find themselves and understand their own identity as they learn the truth about their respective fathers, culminating in another violent confrontation that will reshape the story once again. The Place Beyond the Pines is about legacy, the passing of the baton from one generation to the next, and the significance of small choices. A friendship, a fling, a party, a bullet--they are all small in themselves, but have strong ripple effects when they enter into a life's narrative. Cianfrance has crafted a slow-burn epic tale about fathers and sons, and the decisions that define them. There aren't really heroes and villains in these stories; there are only decisions and consequences. Gosling and Cooper give powerful portrayals of the central figures, but the best performances are the ones from people you probably haven't heard of--Dane DeHaan and Ben Mendelsohn create affecting and memorable characters. It's difficult to have a continual story arc with three distinct-yet-intertwining acts, so Cianfrance's experimental narrative structure requires a bit of a paradigm shift for moviegoers' expectations. It worked for me; I can see how it wouldn't work for others, and could become an exercise in tedium. For me, the particularly affecting scenes involve fathers holding infant sons, feeling their weight in their arms. Do sons bear the consequences for the sins of their fathers? Do our parents' decisions set us on a trajectory in life? Are we able to change the direction of that trajectory? To all questions: yes. 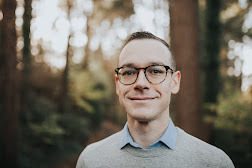 Parents and children have intertwining stories, and while individuals make individual choices, we are nonetheless connected to our past through familial ties. Yet the trajectory isn't set in stone; the inherited legacy we've been dealt can be shifted, altered, healed. The wounds of the past don't have to define the stories of the future; there will be scars for us to see and remember, but scars are the evidence of pain's passing. Small but significant choices--to stay in the marriage, to apply for grad school, to hug our child, to say "I forgive you"--can change our narratives (and our legacies) for the better.